Explore the numerous day-trip ideas around Adelaide: Tanunda (Rusden Wines, Rockford Winery, & more), McLaren Vale (Fox Creek Wines, Primo Estate, & more) and Murray Street Vineyards (in Greenock). Dedicate the 8th (Fri) to wine at some of the top wineries in the area. 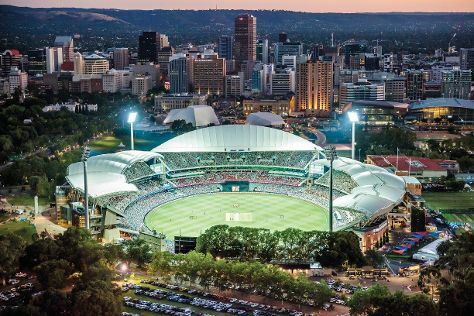 There's still lots to do: take a stroll through Rundle Mall, get a taste of the local shopping with Unique Opal Mine Pty Ltd, learn about winemaking at Seppeltsfield, and admire the natural beauty at Adelaide Botanic Garden. For maps, traveler tips, reviews, and tourist information, read our Adelaide online tour itinerary planner . March in Adelaide sees daily highs of 30°C and lows of 18°C at night. Finish your sightseeing early on the 11th (Mon) to allow enough time to travel back home.